Discussion in 'POTW Collaboration' started by Serebii, Dec 16, 2018. It's getting towards the chilly end of year, so today we focus on an Ice-type! Lapras, an old classic that's often overlooked nowadays. Although it's nowhere near as strong as it was in the days of gen 1 and 2, it's still quite strong. Solid bulk, solid abilities, and a huge movepool all combine quite nicely. Assault Vest Lapras for VGC. It's a neat anti-meta pick in a way. Not too popular, but good enough. With an Assault Vest and the given investment it will always survive Life Orb Ludicolo's Grass Knot with quite some room to spare, avoids the 2KO from Scarf Tapu Lele's Psychic and Scarf Kyogre's Thunder, and it can easily OHKO Ludicolo with Freeze-Dry. Hydro Pump is the other STAB, and takes advantage of how common Kyogre is for extra damage, solid for threatening Incineroar (depending on Incineroar's build it can OHKO in the rain). Hydro Pump will also OHKO Assault Vest Landorus-Therian in the rain. Ice Shard is priority if you need it, although it won't do too much damage. There are also other options here like Icy Wind for speed control. Finally, Sheer Cold isn't accurate or reliable at all, but it can work to surprise enemies and if lucky, get a KO on something that Lapras normally should have no business KOing (like Dusk Mane Necrozma). Only issue I have with this set is Sheer Cold. OHKO moves aren’t that good in competitive, and certain tiers outright ban them. Previous thread closed, so I am mentioning it here. Yanmega can’t learn Volt Switch or either Screen move. It can learn Psychic, but not Extrasensory. There are also other mistakes in Yanmega's Potw, such as Thunderbolt and Heat Wave in Double Battle section! That dosent make sense at all! Anyway, Lapras is really strong, and resistant too. It's one of the rare Water-type that can learn Thunderbolt, or Thunder if it's on a water-rain team, so it's really good to counter other water-types. 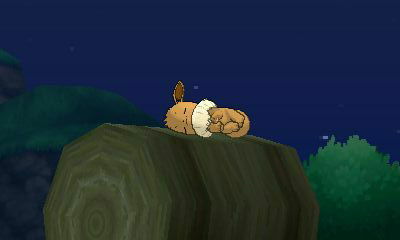 Also, I'm hoping that Xurkitree will be the next Potw, cox it looks like a chritmas guirlande, or tree! I specifically labelled it as VGC, which does not ban it. Why should some fanmade rules be relevant? And I'll admit Lapras isn't the best with it, but OHKO moves aren't bad in certain scenarios, they're fine to break through stall wars and put out offensive pressure. Gliscor ran Guillotine quite a bit in the Spooky Cup to get past opposing Gliscor and Toxapex for instance. Lapras can run other moves there as well, like Icy Wind or Psychic (to cover Toxicroak), but they're a bit more situational. Lapras doesn't get too many other offensive moves it might want to run other than that. Surf is spread damage but also hurts Lapras' buddy making it very situational (like, you can run it next to Toxicroak or Parasect but not much else), Blizzard is nice if you've also got Alolan Ninetales on your team, Thunder is sometimes used but the damage difference between Thunder and Freeze-Dry against water or flying types is very little and it's reliant on rain. Freeze-Dry is generally better. It hits almost as hard as Thunder, isn't weather-reliant, also covers Ludicolo, Palkia, and Gastrodon, and can also freeze the target. But yes, Lapras is really good in covering other water types. Water Absorb is very helpful, it 4x resists their common ice coverage, and Freeze-Dry hits them quite hard. It just struggles against Kyogre as Kyogre usually runs Thunder, but if Kyogre is choice-locked into Water Spout or Origin Pulse Kyogre can't do much. 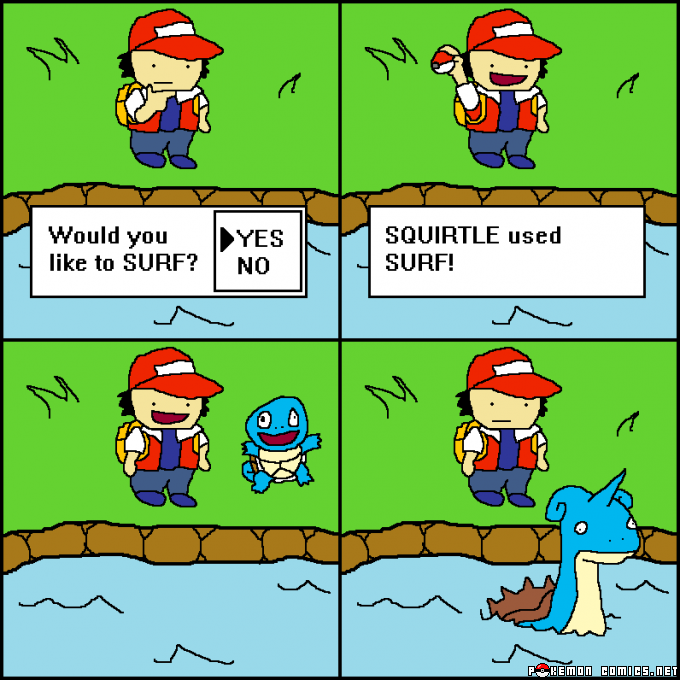 When you think of the Surf HM, you think Lapras! Anyways, Lapras has not aged well over the years, but it's still very usable and can run some interesting sets thanks to its bulk, decent offenses and a surprisingly wide movepool. Lapras is pretty bulky but it sadly lacks a reliable recovery move like Recover. But thanks to its hidden ability Hydration you may still have recovery options open. Set up Rain Dance and then Rest will become your default recovery move that actually fully heals you rather than half way, and thanks to Hydration under rain you'll wake up as soon as you use it. Freeze-Dry is your best offensive option since it screws over certain dual type Water Pokemon like Quagsire or Kingdra and has a healthy supply of PP. Though if you want to capitalize on the rain you can always use Surf and draw upon your other STAB though the loss of niche coverage should be noted. The last slot goes to Thunderbolt which makes use of the infamous Bolt-Beam combo that is unresisted by everything except Volt Absorb Lanturn. Although if you have rain set up you could always replace Thunderbolt for Thunder since it becomes 100% accurate in the rain, is more powerful, and has a handy 30% chance of paralysis. "When it’s in a Good Mood, it Sings in its Beautiful Voice"
Just because the voice is beautiful does not mean it isn't also deadly. 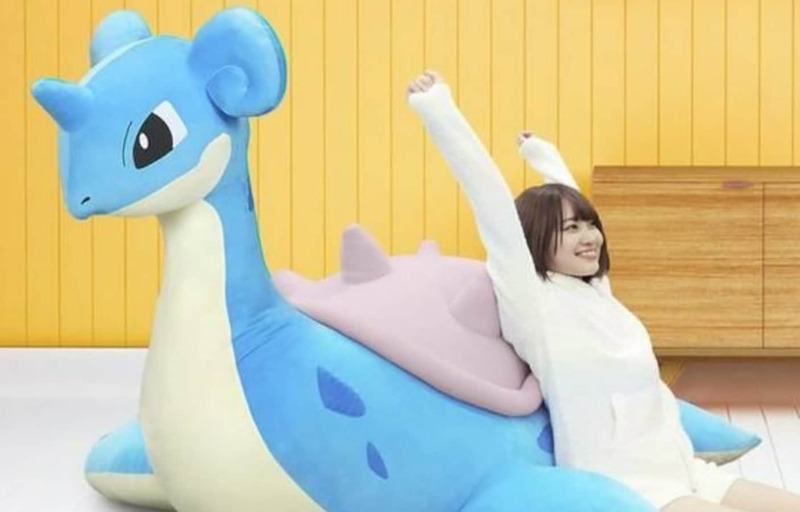 I will fully admit this is a gimmick set, but Lapras is one of the few Perish Song users that actually take a hit long enough for the song to finish. Rather than Mean Look, Whirlpool serves as the trapping move since it now last 4-5 turns instead of 2-5 in past generations, thus guaranteeing the vortex lasts long enough for Perish Song to take its toll. It also has the bonus of slowly whitling away your opponents health and not being blocked by Taunt. Protect burns a turn or two and allows Leftovers to heal you slowly. The last slot can go to either Freeze-Dry or Rest, the former of which gives you extra offensive presence against threats that are guarded from Perish Song and the latter of which gives you a form of recovery (Though you may want to considering holding a Chesto Berry instead of Leftovers if only to give you a one-time free full recovery). Either Water Absorb or Shell Armor will work on this set with Water Absorb giving you a type immunity that comes with extra recovering and an easier time switching in, while Shell Armor ensures random critical hits don't screw you over while setting up. Lapras is arguably one of the more famous Pokemon throughout the Pokemon series, even recognizable among Pokemon fans just starting out in the series. It's most famous appearance started out in the anime where Ash uses Lapras as a form of transportation which is supposed to embody the fact that Lapras's avatar is used whenever a player surfs in the games. How famous you ask? It was so famous that from there on, the anime's extreme popularity caused GameFreak to change Red's team for the later Crystal version, switching Espeon for Lapras. 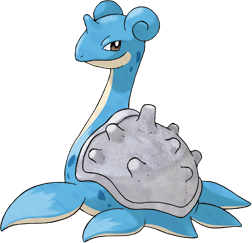 However how can we talk about Lapras without including Lorelei of the Elite Four? Lorelei's signature Pokemon is none other than Lapras. 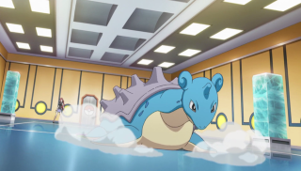 Although Lorelei's Lapras rarely made any appearance in the Pokemon anime, it did made an appearance in Pokemon Adventures as one of Lorelei's best battlers and her personal surf transport and also in Pokemon Generations where it got taken by surprised by Green's fast teleporting Alakazam. Although nowhere near as popular as it's anime counterpart, there is also the Pokemon Adventures take on Lapras which arguably serves as one of the most tragic and saddest backstories to one of the greatest villains of the Pokemon series, leading one of Prof. Oak's four childhood friends since their Pokemon journey as kids in a deep depression which later evolved into madness, Prof. Oak's complicated past haunting the main characters once again. Lapras's role in the Pokemon Adventures is quite a sad and major one, making a little boy who loved Pokemon so much into one of the most dastardly of Pokemon villains of the series that it makes you wonder if Ash Ketchum would've gone through a similar route if one of his closest Pokemon ever faced a similar fate. As those who are familiar with the title, it's based on the lyrics "A Boy and his Lapras" which also includes Lapras's capabilities to sing. The goal of this set is to make use of Lapras's fairly impressive bulk. Lapras has fairly good Sp. Def paired with an even better health pool which can reach up to 282 HP fully invested at Lv. 50. The idea here is to disrupt the opponents momentum through Perish Song which would obviously make them switch-out in doubles. Rest and Sleep Talk serve as decent recovery options but for some a Physical Tank Disrupter might be better though. Lapras's Icy Wind is also decent enough to dish out a little bit of damage but most importantly lower the speed of every opposing Pokemon in doubles. Because of it's decent bulk, it's also good enough to spam Sheer Cold but it's not recommended as even in tanky odds, Sheer Cold is still too luck-based. Which is what Heal Bell comes in as Lapras is also a great support Pokemon taking out all status effects throughout the entire team. So what's your reason for using this? To disrupt the opposing team's momentum for your other Pokemon in-use however the main reason to use this if you really REALLY want to use Perish Song as Perish Song is not very consistent as other moves in Competitive. What makes Lapras a unique Perish Song user however is his tanky stats that can almost be close to that of a wall. However again, there's really no point to use this unless you REALLY want to use Perish Song at one of it's best in doubles. The aim of this is really simple. It's a less-better version of Milotic. That's pretty much it lol. Honestly the only reason you'd ever want to use Lapras at all at it's best if you really REALLY want to use Lapras. This Pokemon is outclass in a lot of departments. The only real difference from Milotic I suppose is that lapras has access to Ice Shard which can be devastating to Pokemon weak against it with little health, perfect with the Toxic-stalls. The last slot goes to Thunderbolt which makes use of the infamous Bolt-Beam combo that is unresisted by everything except Volt Absorb Lanturn. Rotom-Frost, Rotom-Heat, Thick Fat Mamoswine, Magnezone, Togedemaru, Shedinja, and Lightning Rod Alolan Marowak tend to disagree. Freeze-Dry + Surf on the other hand is very little resisted, other than Thick Fat Walrein, Thick Fat Dewgong, Dry Skin Jynx, and Shedinja I can't really think of anything that does. Ice + Electric complemented each other well because Electric hits the water types that resist Ice, but if you've already got Freeze-Dry Electric attacks without STAB quickly turn redundant. Electric can have some value against certain pokémon like Celesteela, but it is situational. Did you just slap an Assault Vest on a pokémon without any attacking moves? Huh... guess I did lol.